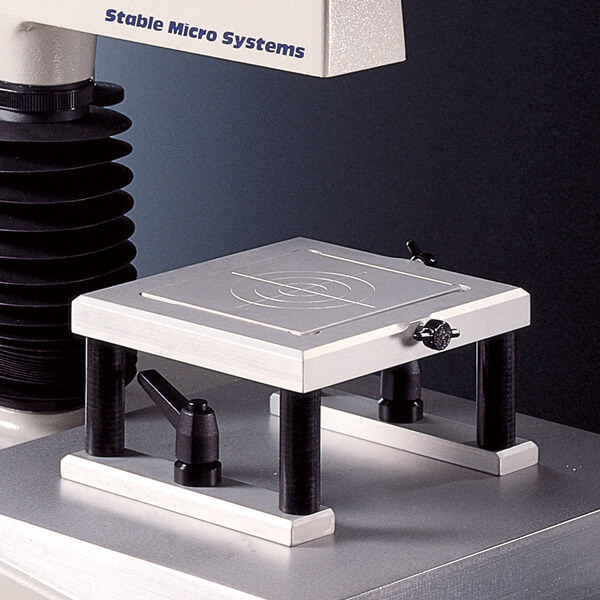 The Stable Micro Systems Texture Analyser range supports a wide selection of special attachments, covering many application areas. 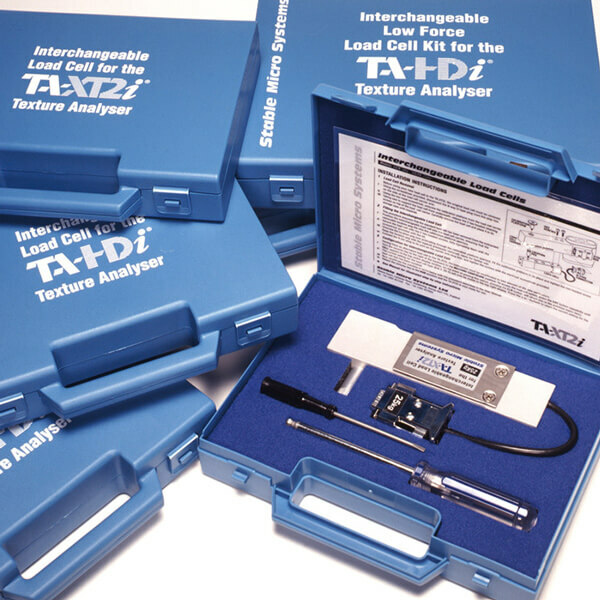 This page details some of the accessories which are also available to enhance the use of the Texture Analysers across all areas of testing. Please note that some accessories are not compatible with some Texture Analyser models. Each of our accessories is detailed on our in-house CAD system and manufactured on one of five CNC machines at our machining facility. 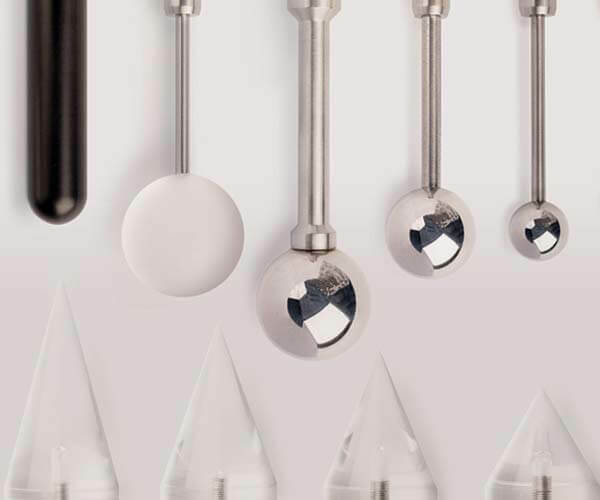 Every accessory is rigorously inspected for dimensional accuracy, profile and finish during manufacture, again both during and after assembly and finally before despatch to the customer. 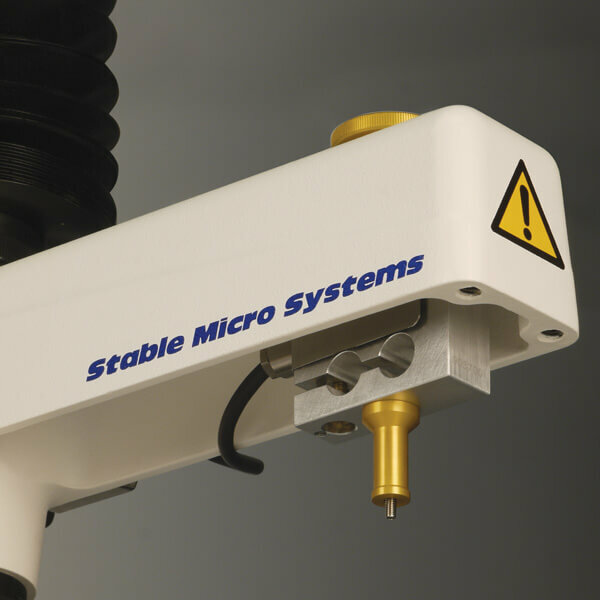 Information on Stable Micro Systems' range of attachments is available in a series of publications describing items suitable for use in specific industries. You may order any of these, along with more detailed brochures on each of the major peripherals above, from the Brochure Request page. Please note that items marked** are unsuitable for use with the TA.XTExpress. 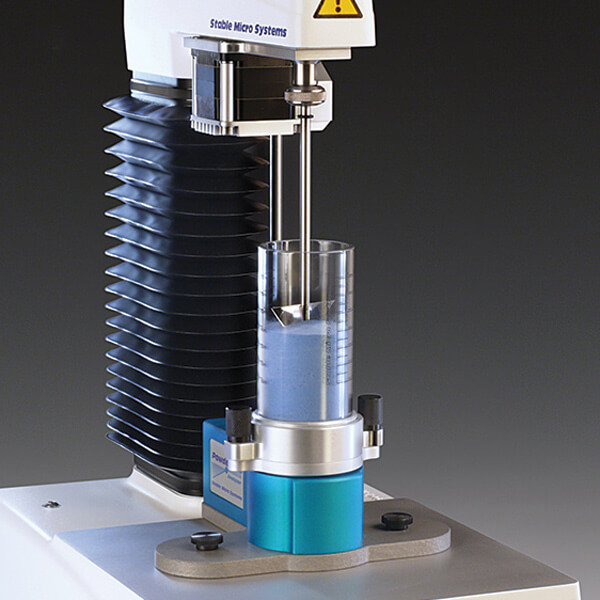 The Powder Flow Analyser can be rapidly fitted to the Texture Analyser, enabling rapid, accurate assessment of powder flow characteristics. 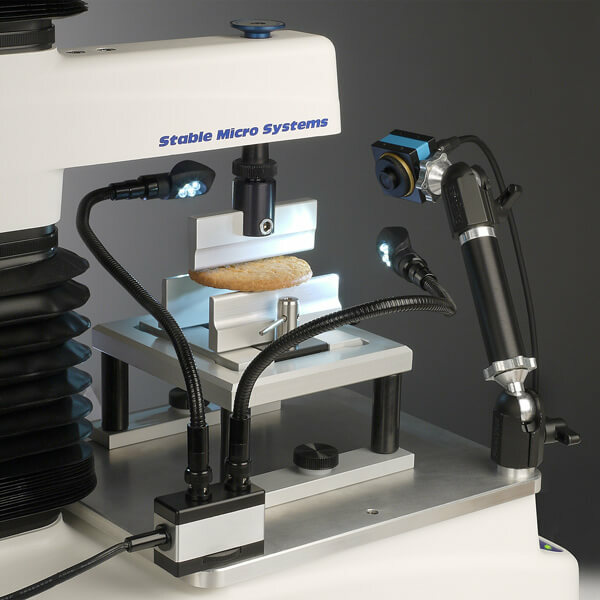 The D/R Dough Inflation System measures dough extensional rheology under conditions of strain similar to those of baking expansion. 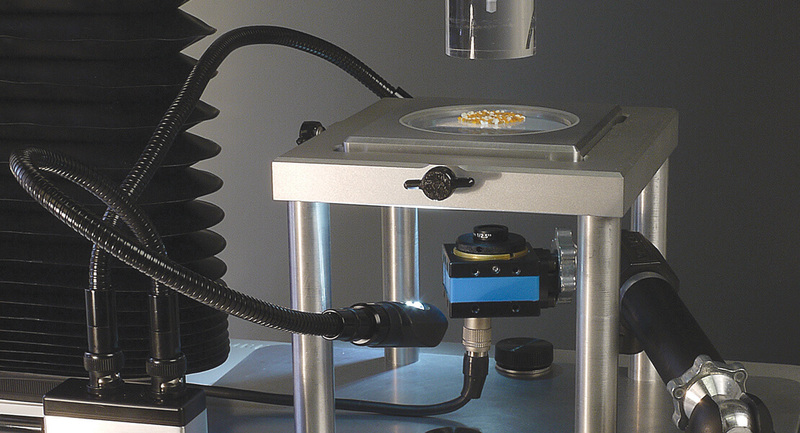 The Automated Linear Indexing System (ALIS) enables the loading of multiple test samples prior to testing and does not require constant supervision by the user during testing. 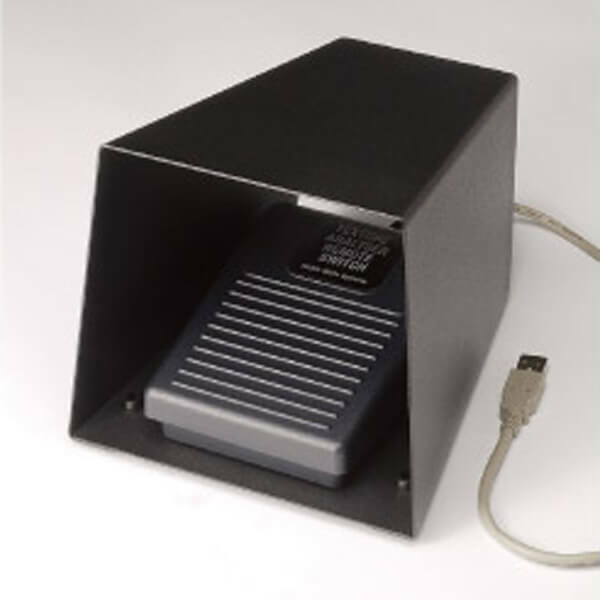 Enables replay of visual recordings frame by frame, simultaneously with the corresponding force-distance-time graph. Acoustic data emitted by crispy/brittle products can be collected alongside force, distance and time data. The quantity and rate at which at sample is e.g. extruded/deposited is plotted on a second axis alongside the regular force data. 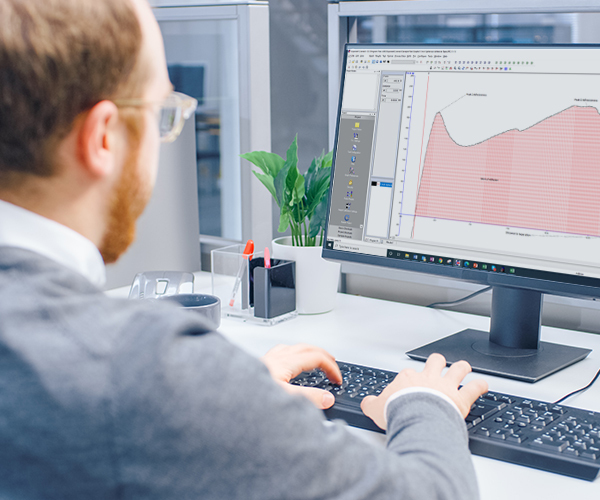 This module adds to the versatility of the Texture Analyser by providing the facility to capture accurate temperature and humidity data during a test. 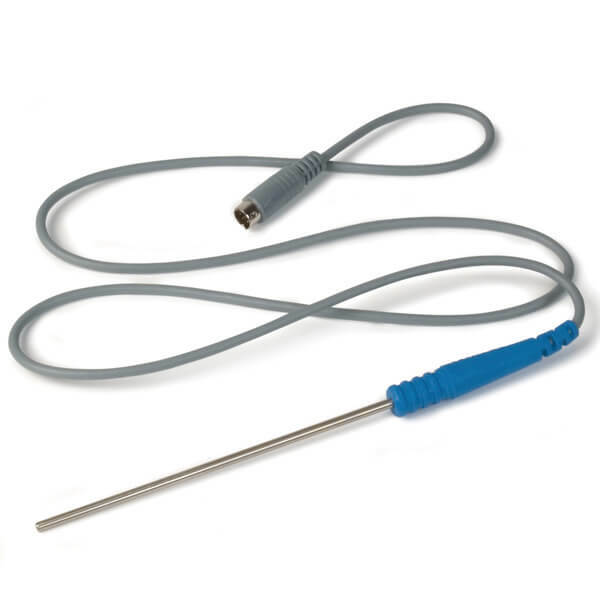 This thermocouple probe plugs into the PT100 connector on the Texture Analyser, giving direct measurement over the temperature range -50°C to 250°C. 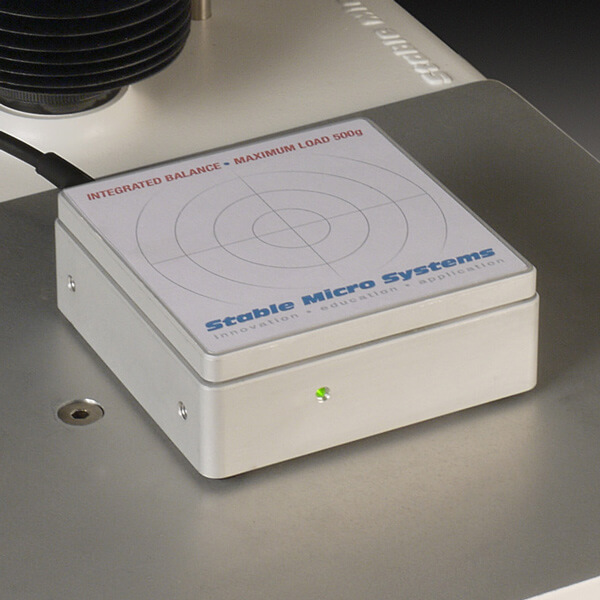 The 500g loadcell provides high resolution force output, with noise reduced to at least ten times less than its 30kg counterpart, and offers the setting of lower trigger forces than is possible with other loadcell capacities. 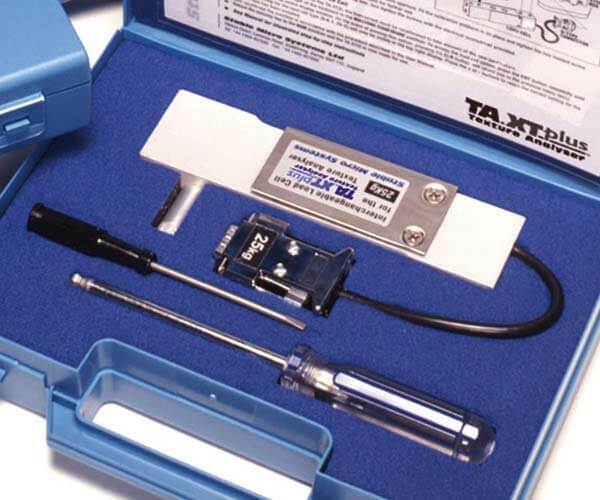 Loadcells are supplied calibrated over 0-100% of their range, the calibration information being programmed into the non-volatile memory. They are supplied in a protective case and are interchangeable. 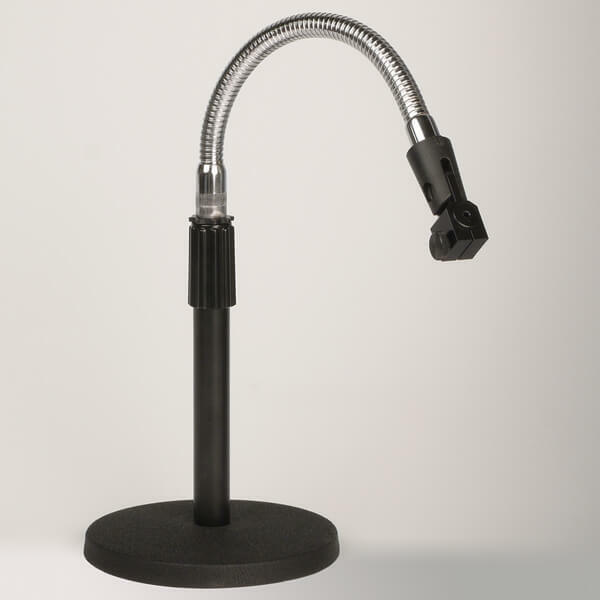 This is used for fixing many of the general attachments to the Texture Analysers. 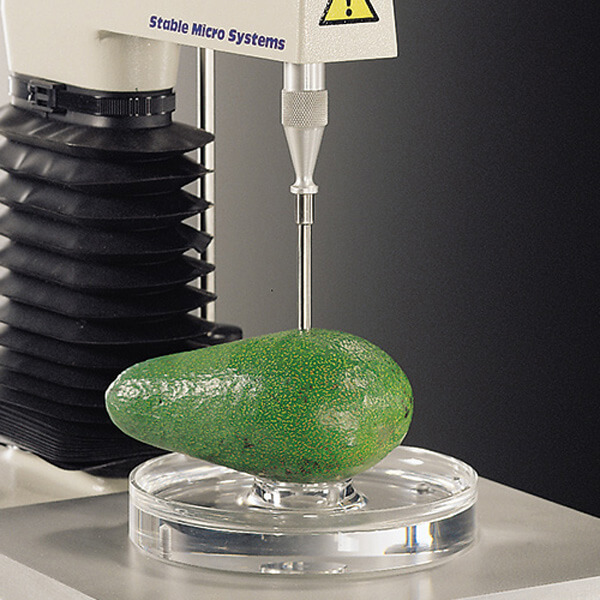 It ensures the precision alignment of probes and product samples. 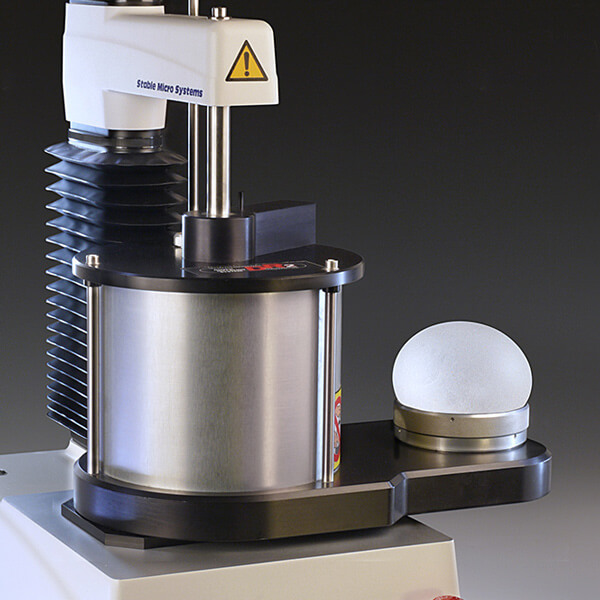 PTFE insulating pillars provide a thermal barrier to minimise heat transfer between the sample and the Texture Analyser. This tool is for those looking for a simple and quick means of preparing samples of repeatable width, height or thickness. 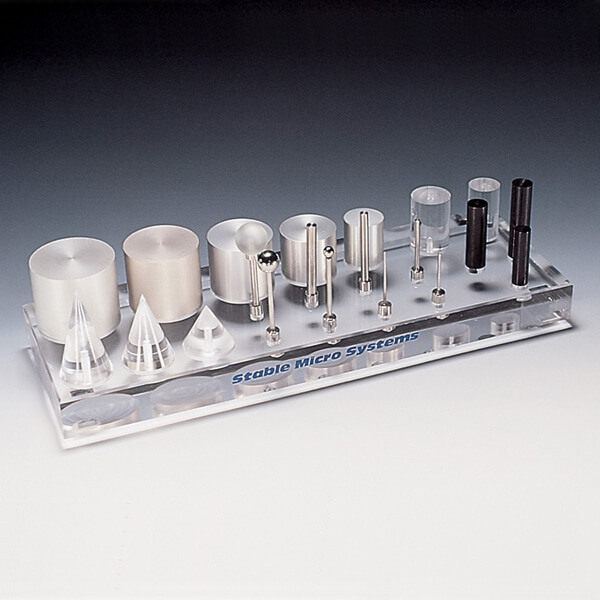 This is of particular importance when required to prepare cubed samples for compression testing or when a sample of uniform width is necessary for tests using blade fixtures. 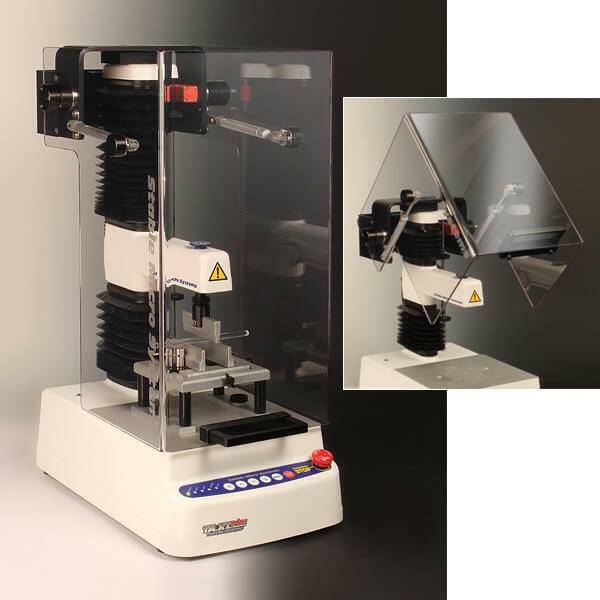 Constructed from heavy duty perspex sheet and giving a high degree of protection during destruction testing, the Shatter Screen is a cost-effective option for any of the Texture Analyser range. 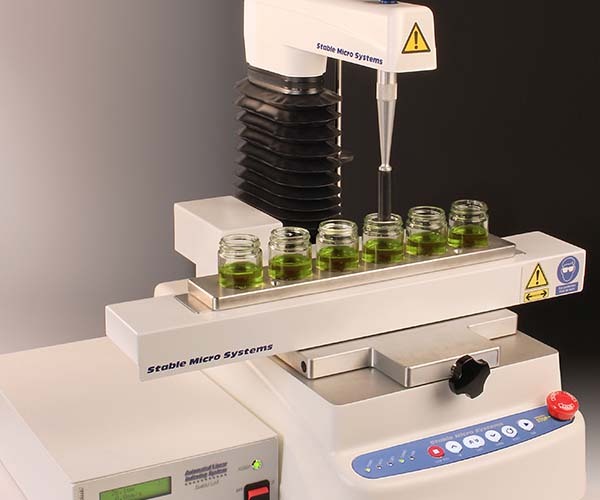 This screen ensures maximum protection when testing brittle samples to destruction. 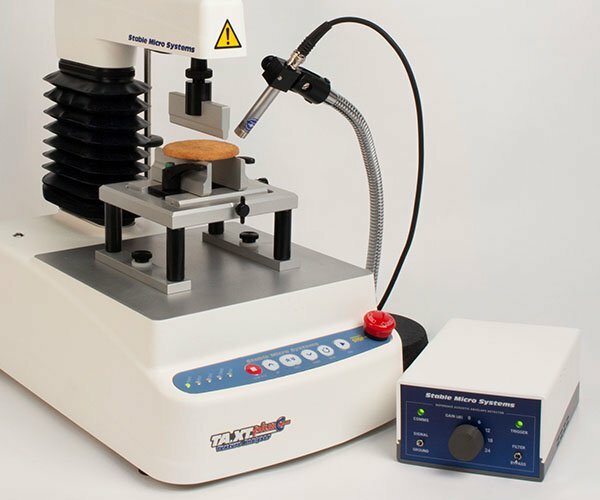 Easily installed on any model of Texture Analyser it is supported by gas struts for easy access to the testing area, and is configured to allow instument operation only when in the closed position. 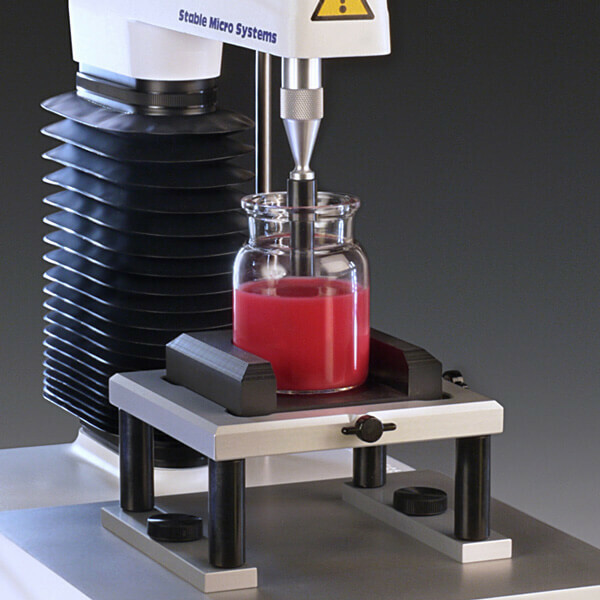 ISO Standard jar for Gelatine testing. Jars have an internal diameter of 59mm and a capacity of approximately 155ml. 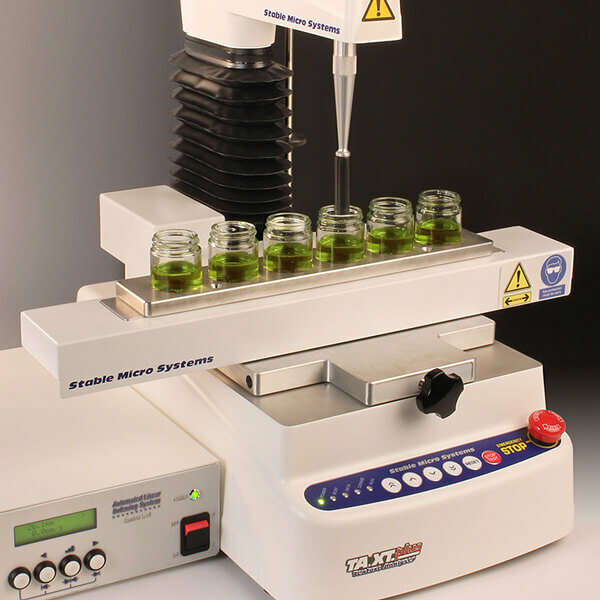 A Centralising Base which fits in the heavy duty platform is also available for quick jar centralisation. 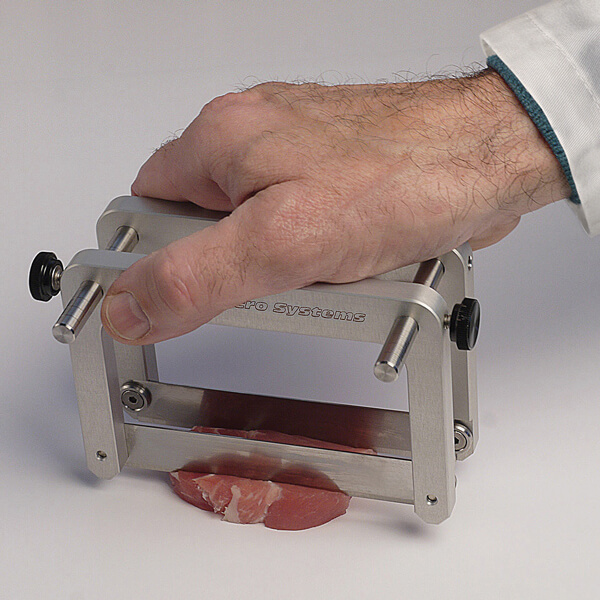 The Flexible Clamping Arm may be used for the holding of such devices as pipettes or temperature probes over the sample (around the testing area) via a strong clamp with spring-loaded jaws. 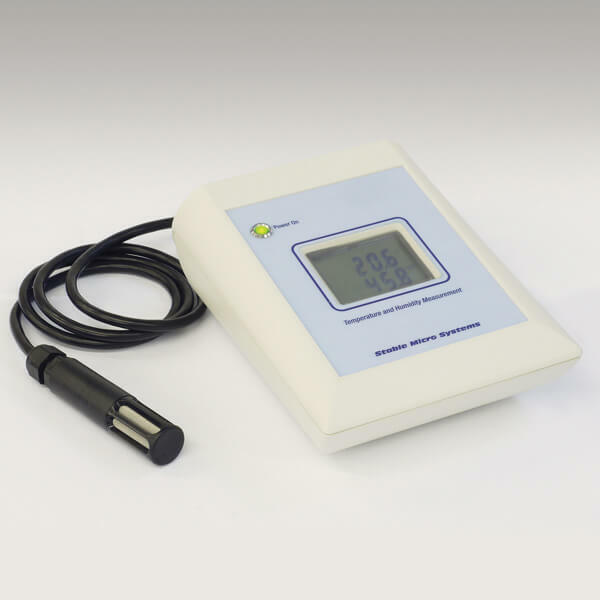 This USB User Programmable Remote Switch is able to replicate a key switch combination – particularly useful if your PC is not situated adjacent to your texture analyser and you wish to commence or observe a test whilst standing next to your instrument. 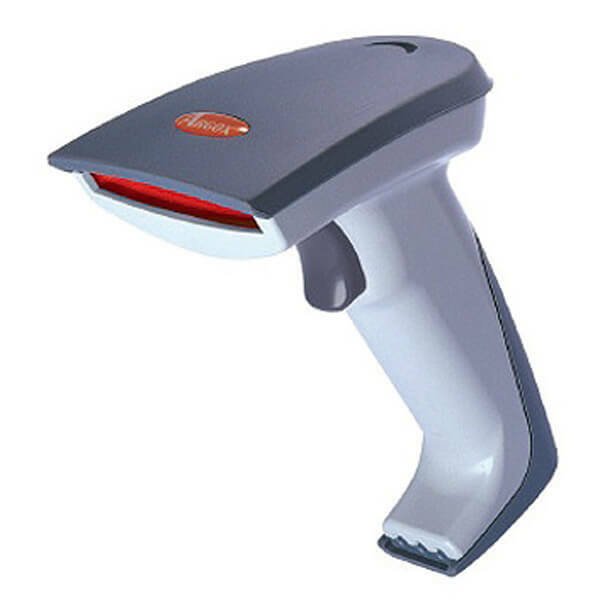 With the aid of a BASIC script, a product barcode can be scanned to automatically select the correct project ready for testing, allowing even more automation and reducing user error. 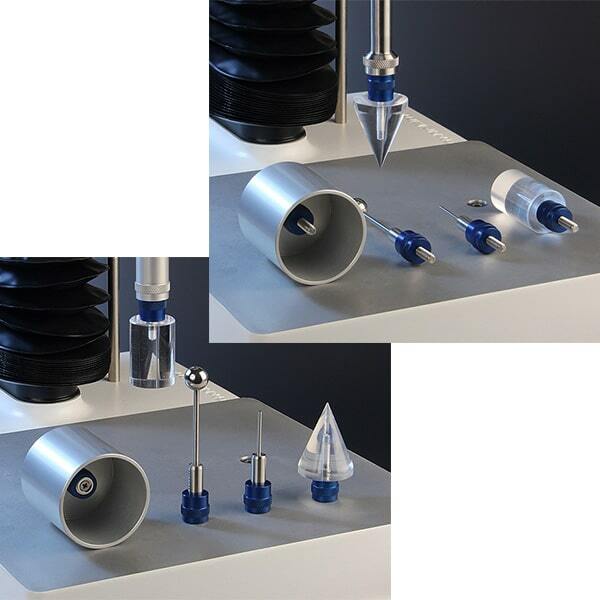 For the preparation of repeatable diameter samples by insertion into the sample mass. 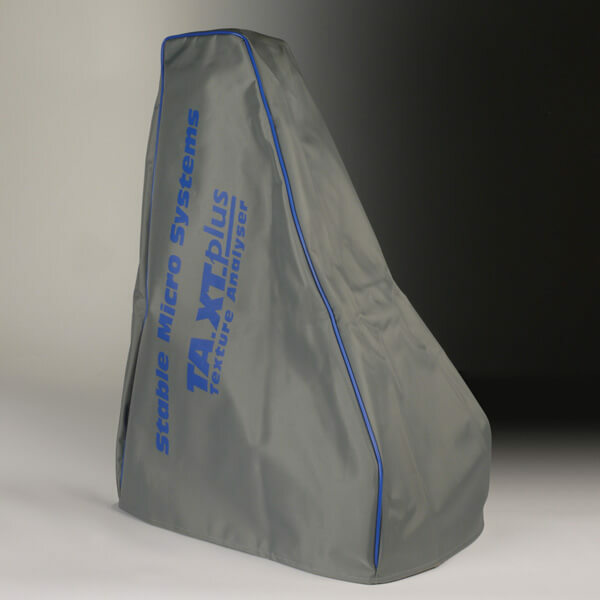 Texture Analyser Dust Covers are made from waterproof light grey nylon with mid blue rib edging. 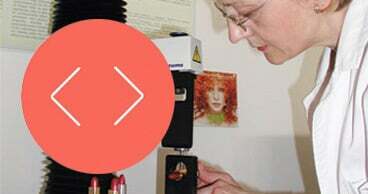 They provide excellent environmental protection for the instrument when not in use. 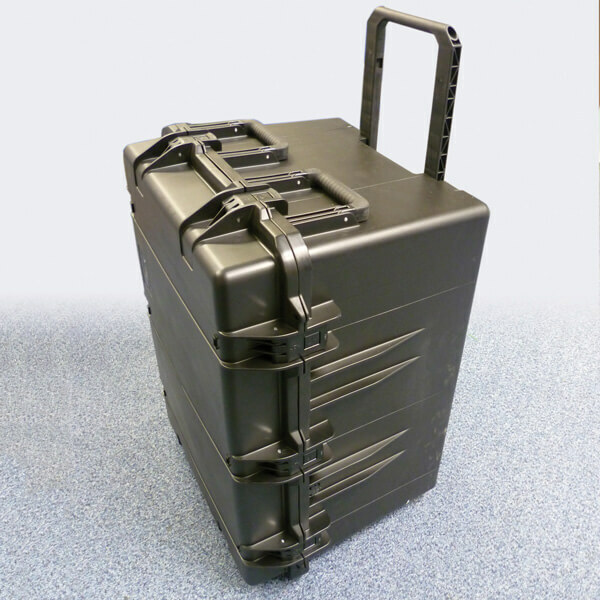 This case accommodates a single column Texture Analyser with additional space for accessories and tools. 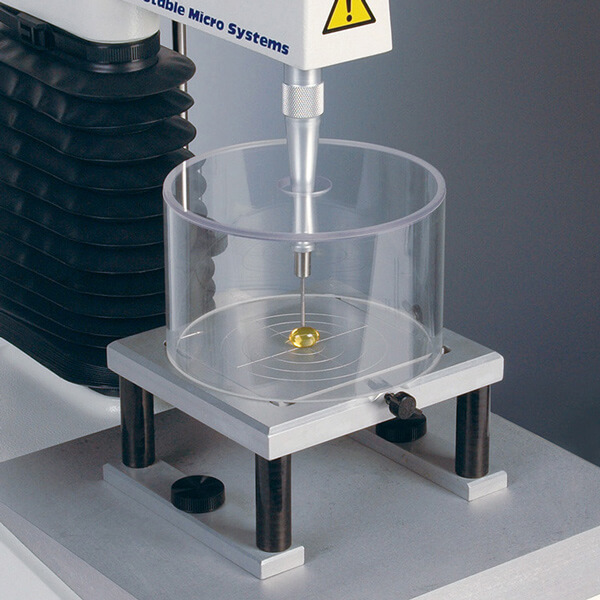 Perspex display bases are made to special order and can accommodate 6, 12 or 18 probes. They facilitate easy selection and safe storage. Probe code numbers and quantity must be specified when ordering. 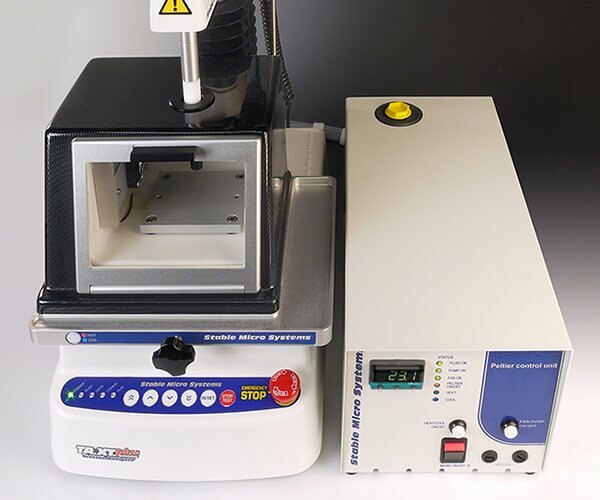 For texture analyser users who are looking for ways to increase their sample testing throughput and improve the convenience of probe attachment to their texture analyser, we have two innovative options. Users can now choose to have a converter fitted to their probes to allow for quick removal and replacement between tests. 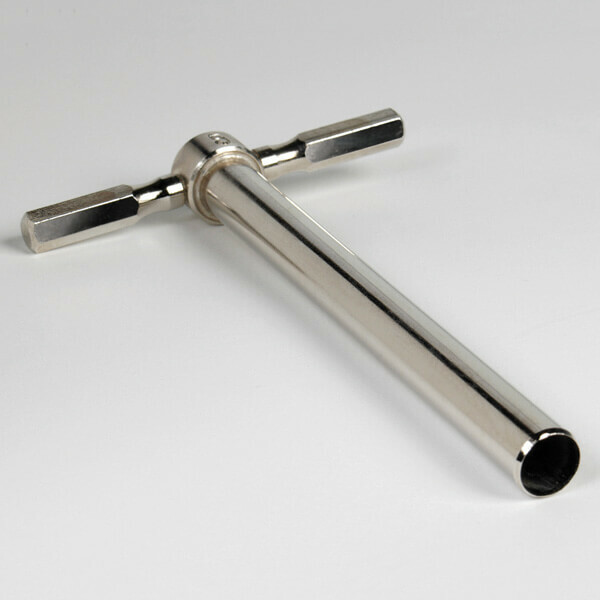 Either ‘magnetic’ or ‘quick-twist’ probe converters are available, in batches of 5. 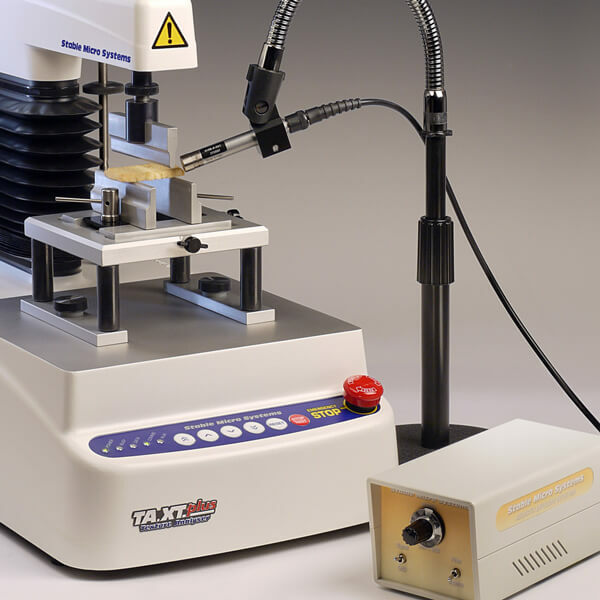 These quick probe removal and replacement options are the first of their kind in texture analysis and support the requirement for test procedures that have efficiency and/or convenience in mind.